As the name implies, this is the Deluxe version of our Innovator Model. The Deluxe generally has a wider overall planshape with an area pintail. Bottom contours are a combination of concave/roll running from the nose through to 24” from the tail where the roll dissipates leaving a rail to rail concave that fades at the tail. The Innovator Deluxe thrives in small to medium size waves and is fast, loose and nose rideable. Following on from the success of the Innovator, the Deluxe version is designed with a little more cruise factor courtesy of the wider planshape and full area pintail. 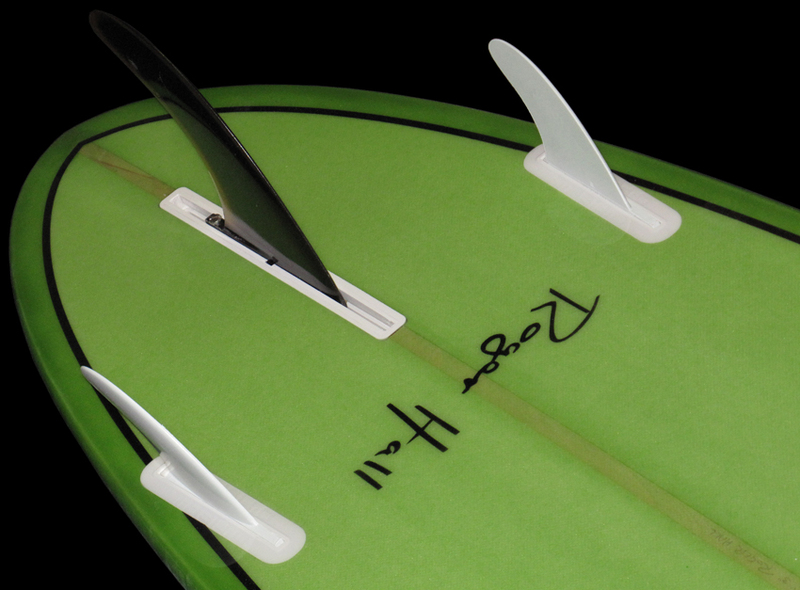 The Tri Fin set up gives this board plenty of versatility in a wide range of conditions.